There's more to Stratford-Upon-Avon than its links to the world-famous playwright William Shakespeare; a number of historic buildings still survive to this day and add to the town's unique persona as a beautiful, unspoilt example of English heritage. 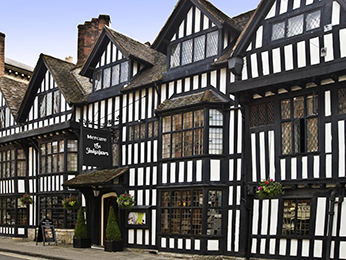 Make the most of your visit by taking your pick from our selection of hotels in Stratford-Upon-Avon below. Many of the focal points of the town come in the form of the old, wooden beamed houses dating from the 16th and 17th Centuries. One such house is the much celebrated birthplace of William Shakespeare. Fans of The Bard will also want to visit Anne Hathaway's cottage, the famous former home of Shakespeare's wife, which is so popular it has since seen full-size replicas built around the world in places including Australia and Texas. Finally, Hall's Croft is the house formerly owned by William Shakespeare's daughter, Susanna Hall. Each of the houses today function as museums to their former residents. Stratford-Upon-Avon is within easy road access from the M40 motorway, located just 35km north of Birmingham. The town is also easily accesed by train from Birmingham and is within easy reach of Birmingham airport. 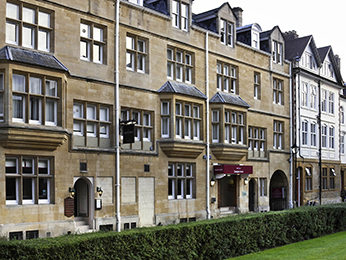 Booking a hotel in Stratford-Upon-Avon couldn't be easier. Simply browse our selection of hotels below and choose one that best suits your needs. Booking online with AccorHotels offers a host of benefits, including our Best Price Guarantee and last minute and real-time room availability.